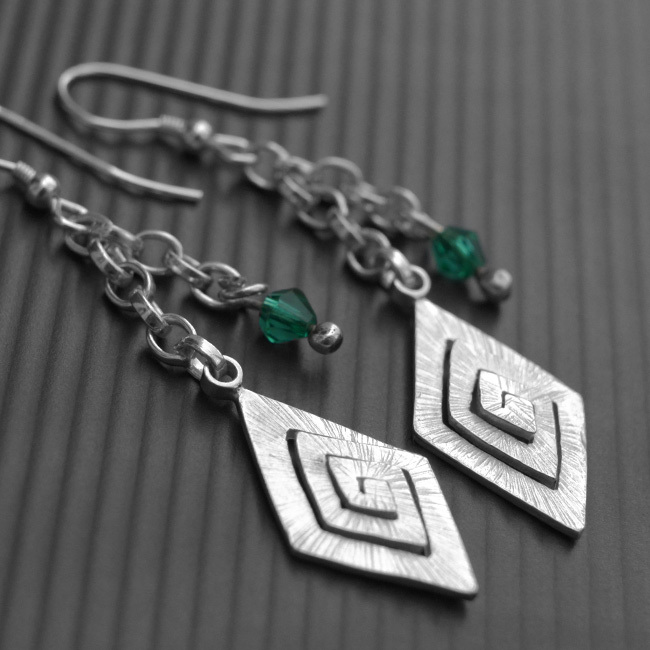 The Greek Emerald Earrings are made with sterling silver material. 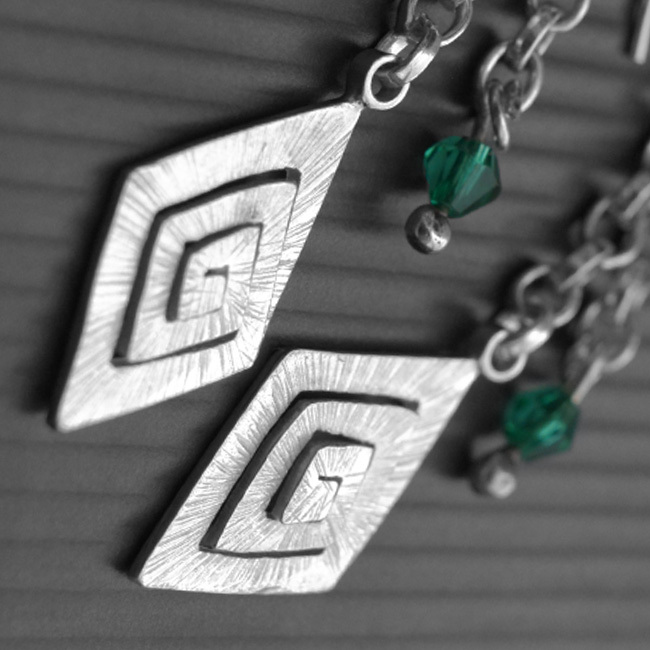 The style comes from the classic Greek symbol with green coloured emerald swarovski crystals. Availability: In stock Size: N/A Categories: All Jewellery, Earrings, Birthstones, Commissions, Collections, Birthstones. 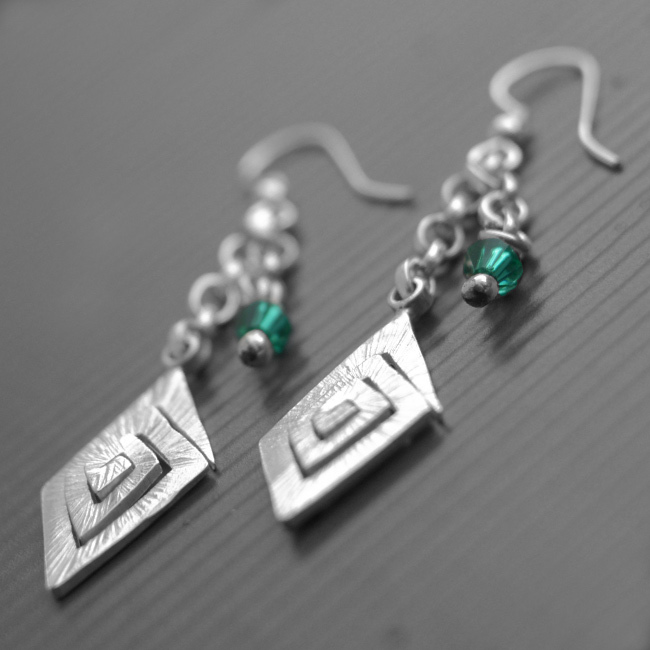 Tags: bespoke jewellery, Cloisonne Earrings, emerald, Greek necklace, green, handmade, LWSilver, Swarovski. 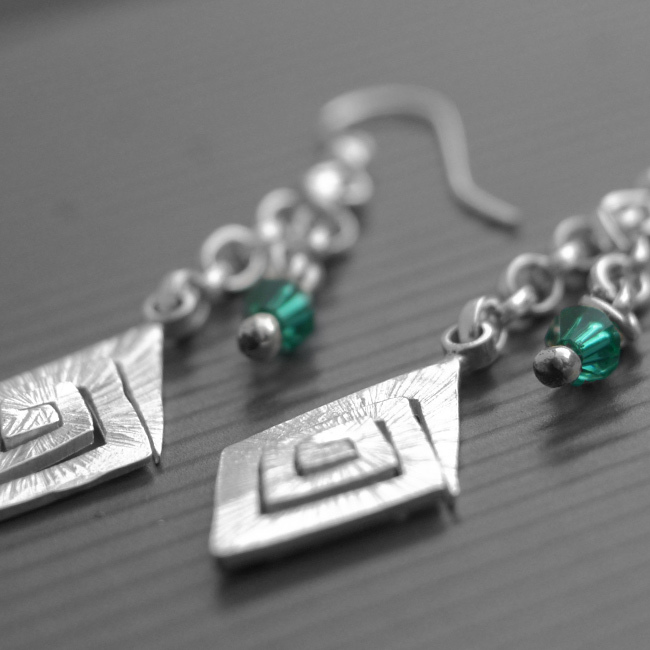 Stunning design, carried off with a precision eye, my partner wears them with pride. I recommend this jeweller to everyone, she’s amazing! This is the second piece I’ve purchased from LWSilver and it did not disappoint. My wife loves them, beautiful design, total quality. Highly recommended.